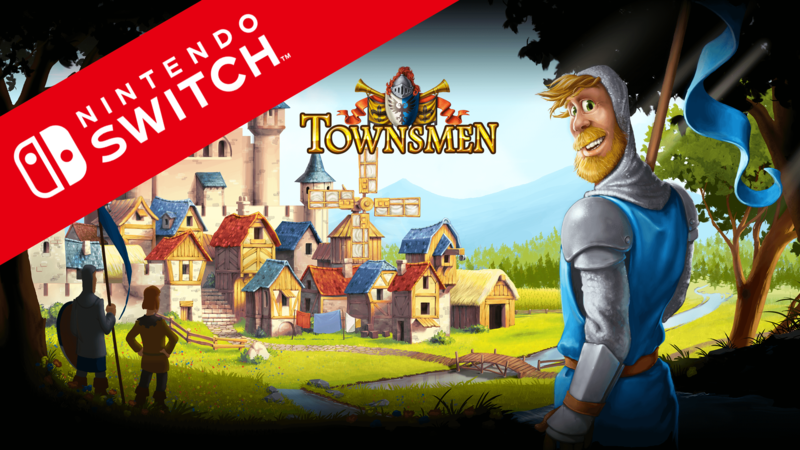 TOWNSMEN NOW AVAILABLE ON NINTENDO SWITCH! Metropolis Now! Townsmen out now on Nintendo Switch™! Hear ye, hear ye! Important news for all of you who own a Nintendo Switch™! Townsmen is out now, so all budding architects and town-planners can begin designing the medieval metropolis of their dreams. Whether it’s from the comfort of your own home or out and about, Townsmen is the must-have city-builder on Nintendo Switch. Townsmen for the Nintendo Switch is based on the long-lasting Townsmen series and comes with a carriage-load of content: players can pick between 26 different scenarios – such as protecting a city under siege from bandits or making sure the King’s birthday party is a huge success – or play one of 24 sandbox maps and build a thrilling town from scratch. It’s up to you as a wise ruler and careful planner to fulfill the needs of your beloved „Townies“, who follow individual daily routines.